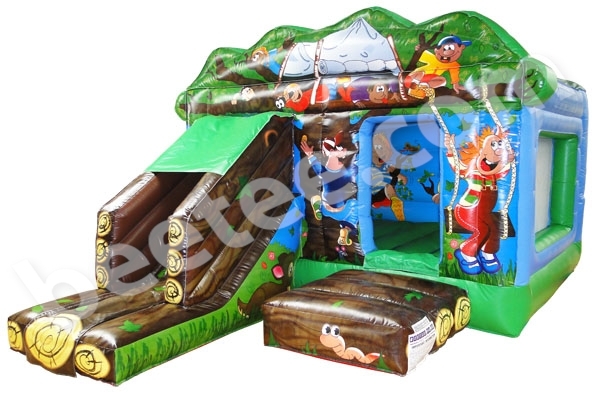 Bee-Tee offer a range of bouncy castles for sale direct from our own factories in the UK. All our bouncy castles and inflatables are manufactured by ourselves in the UK for 38 years, we have established ourselves has a leading brand that can be trusted and our reputation for customer service and quality of product is second to none within this industry around the world. All our bouncy castles are manufactured to EN14960 and are supplied with accredited certification which ensures your product is safe to use and meets the required criteria. In addition to our range of bouncy castles for sale we also offer a range of swimming pool inflatables obstacle courses and high energy games, alternatively if you require a bespoke item please contact our sales department on 0113 282 4494.